Welcome to our 2015 Bootstrap Blog series! We’ve been introducing you to our four Bootstrap Bloggers, who are all in their first or second year of running a farm. Throughout the season, each Bootstrap Blogger will write about the highs and lows, glory moments and curveballs that come with farming. 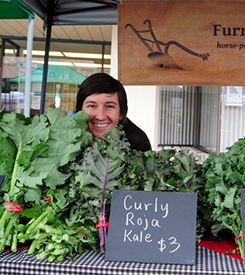 My name is Caitlin Arnold, and I am a young farmer in Washington State. This year I’m celebrating my tenth year of farming and my first year of running my own farm business! 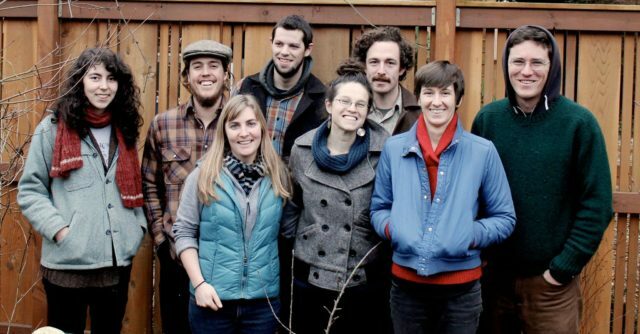 I have been working on small, organic vegetable farms in Washington, Oregon, and California since 2005, and this season my partner, Brandon Wickes, and I are launching Furrow Horse Farm, our draft-horse powered, organic vegetable and cut-flower operation. My Grandpa grew cherries and apples in eastern Washington, and as a kid I spent many weekends with him at the farm, riding the tractor around the orchard as he did chores and making mud pies in the irrigation ditches. But I grew up in Seattle and was a total city kid, aside from my obsession with horses (as most young girls experience at one point or another). I began riding on the weekends for a few years, and then resumed riding as an adult once I started farming and living in rural areas. I never considered farming with draft horses, as it seemed to add another layer of complication to an already difficult job. However once Brandon and I met and started farming together, his interest in farming with horses began to rub off on me. I agreed to apprentice for a season on a draft-horse powered farm before making the decision to farm with horses on our own. Just a few weeks into the apprenticeship, I was hooked. Working in the field with the horses is such a unique experience, unlike any other, and now I can’t imagine farming without them. They become friends, co-workers, and partners. 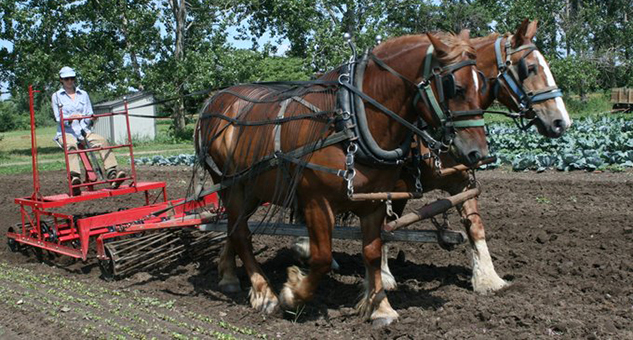 Brandon and I spent the 2014 season as apprentices at Orchard Hill Farm in Ontario, Canada, specifically to learn the skills we needed to run a horse-powered market garden. We knew we wanted to return to Washington, so we started looking for property to lease with the help of Washington Farmlink. Eventually we found a retired couple with an extra house and acreage on their 44-acre beef cattle operation near Morton, Washington. Although we didn’t know anyone in the Morton area, we took the plunge and began leasing in January. We were able to till up about two acres in February and get a deer fence up. Vegetables have never been grown on this part of the farm, so we went from straight pasture to garden. The grass has proven a big challenge so far, as has the lack of infrastructure. But at least our house is only 50 yards from the farm entrance! Neither of us brings inherited wealth or land to the table of our farming venture, and we both have student loans. Funding has been tricky to work out. We applied for a Kiva Zip loan through the Greenhorns, and were able to get it fully funded in less than 24 hours. In March, we also applied for a farm grant through the Humanlinks Foundation based in Seattle. Amazingly, we were awarded enough money to buy our first team of draft horses and the basic equipment we needed to get started! Now we have begun the search for the team of horses we’ll bring to Morton. I am looking forward to sharing my farming experiences with the greater farmer community throughout the country.! It is an honor to represent the National Young Farmers Coalition in this way. Our farm website is furrowhorsefarm.com, and you can also find us on Facebook.